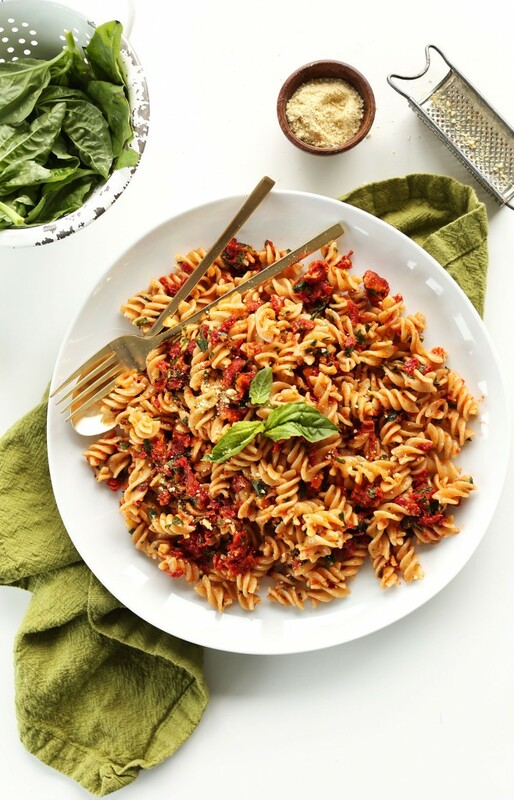 Sun-Dried Tomato Pasta – Simple, 6 ingredient Sun-Dried Tomato Pesto Pasta that comes together in 20 minutes! An easy, healthy vegan, gluten free lunch or dinner. 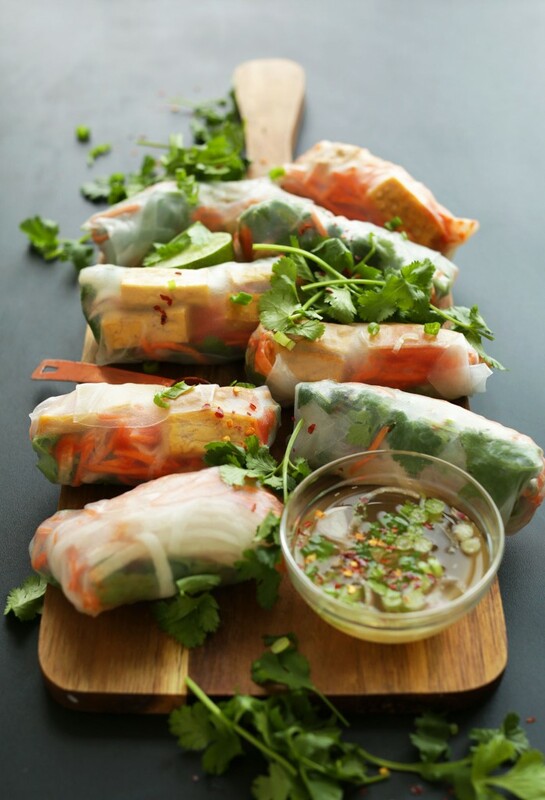 Banh Mi Spring Rolls – Banh Mi-inspired spring rolls with crispy baked tofu, quick pickled veggies and an easy vinegar dipping sauce. So fresh, quick and filling. 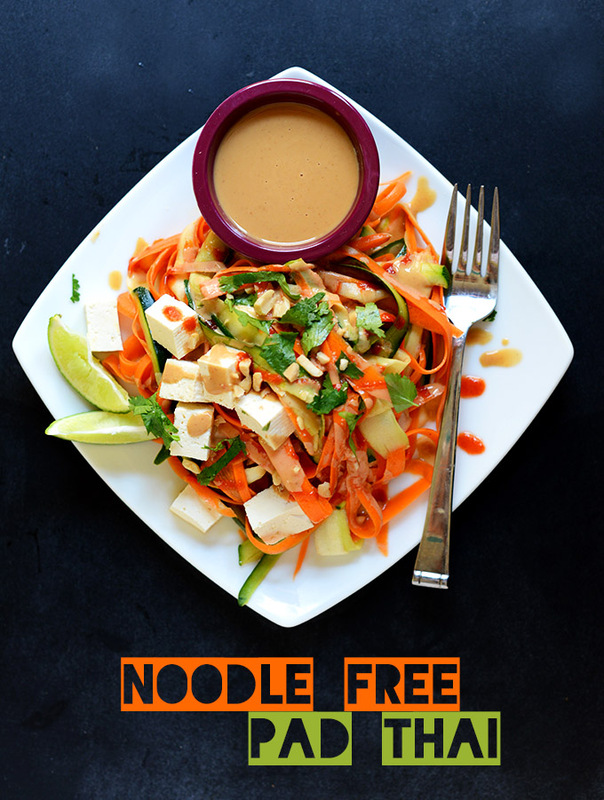 Noodle-Free Tofu Pad Thai – Noodle-free pad thai made with shaved carrots and zucchini, a tamarind-based dressing, peanut sauce and raw tofu. 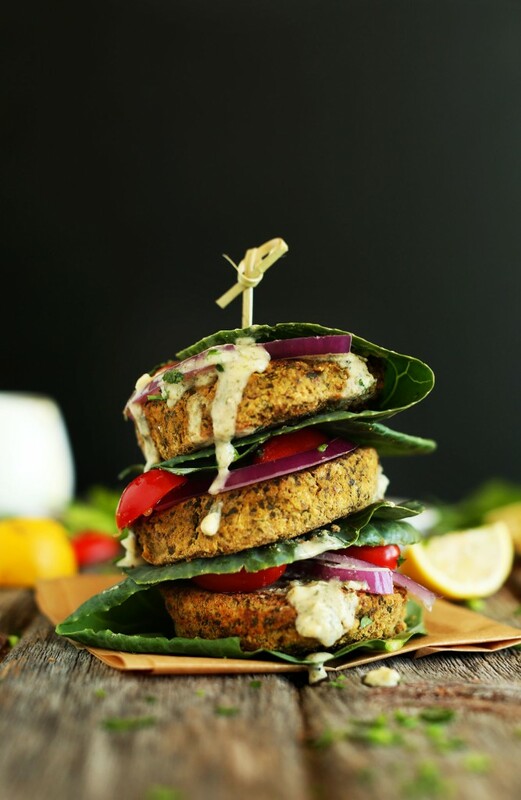 Baked Falafel Burgers – Healthy, 7 Ingredient vegan & gluten-free Falafel Burgers! 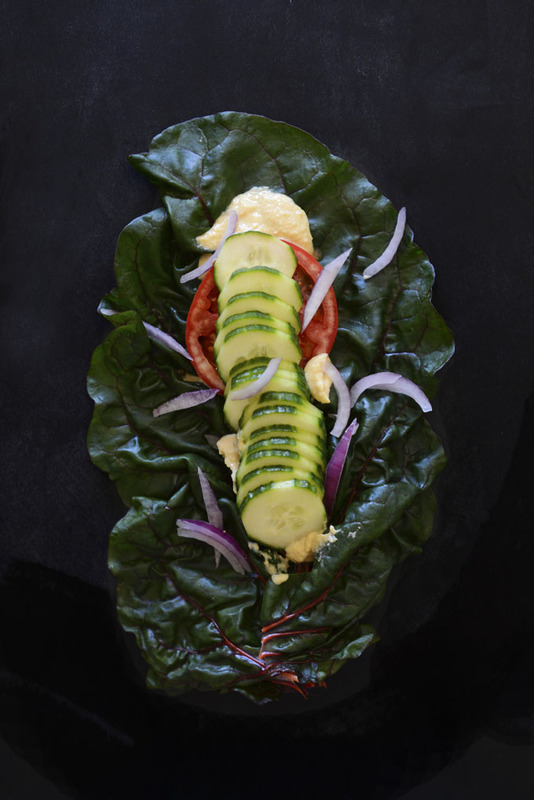 Simple, flavorful, perfect with pita, greens or atop a salad! 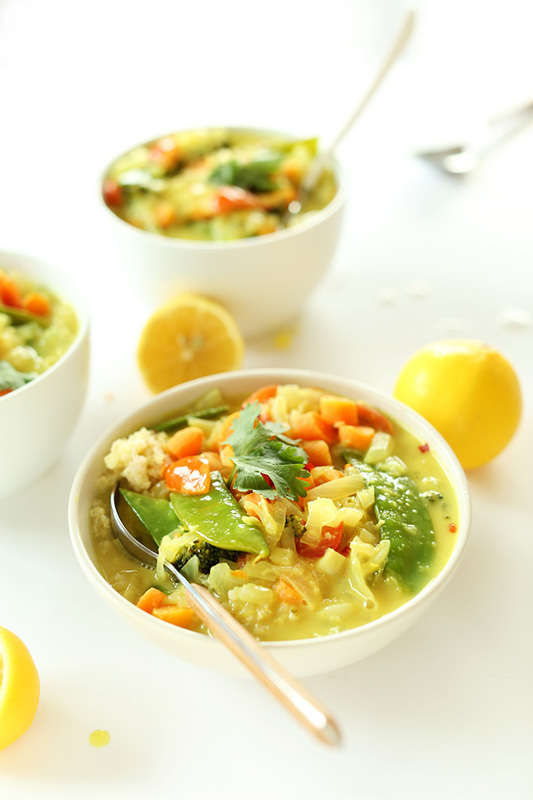 30-minute Coconut Curry – A vegan, gluten free 30-minute curry that’s loaded with veggies and swimming in a perfectly-spiced coconut milk broth. Coconut quinoa sends this over the top. Simple, healthy, fast and so delicious. 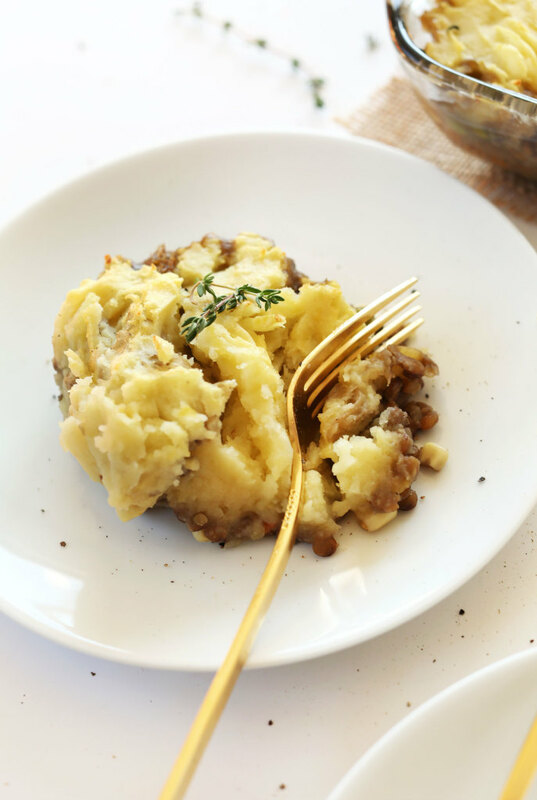 Vegan Shepherd’s Pie – A hearty, 9-ingredient Vegan Shepherd’s Pie that’s loaded with veggies and savory lentils, and topped with fluffy mashed potatoes. So flavorful and satisfying you won’t miss the meat! 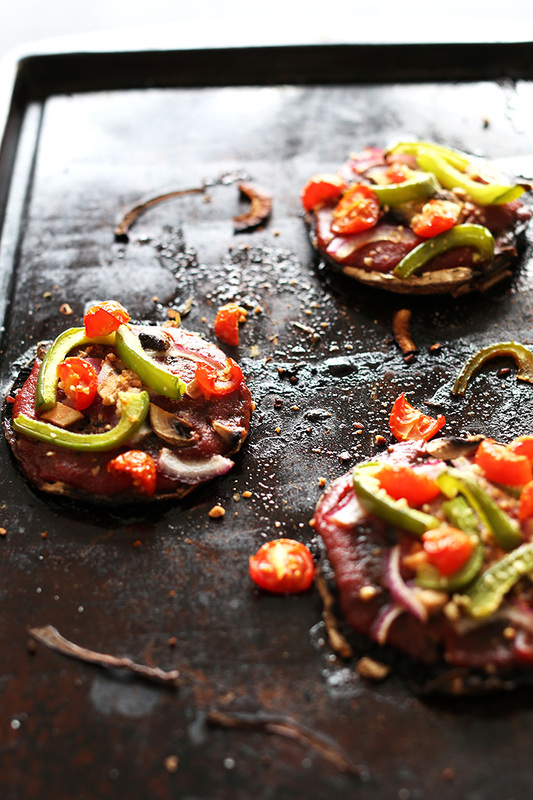 Vegan Portobello Pizza – 8-ingredient vegan gluten free pizzas that are entirely plant-based. 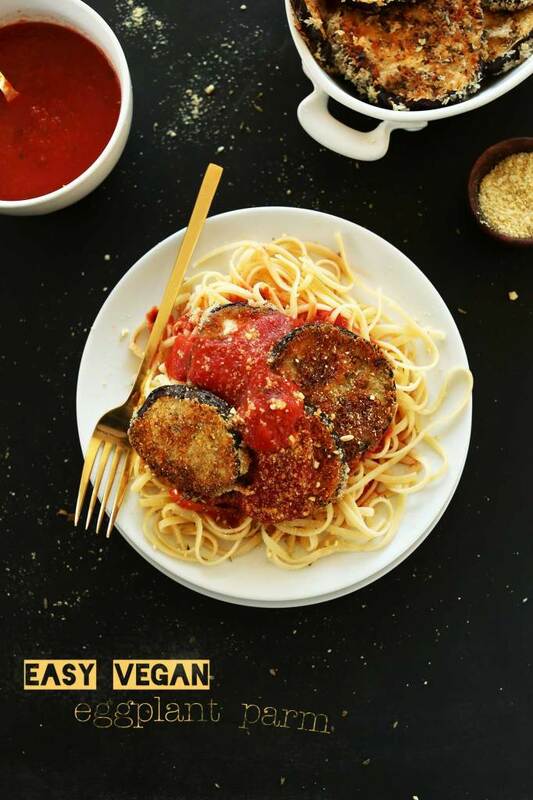 Roasted portobello crust, savory tomato sauce, fresh vegetables and vegan parmesan! 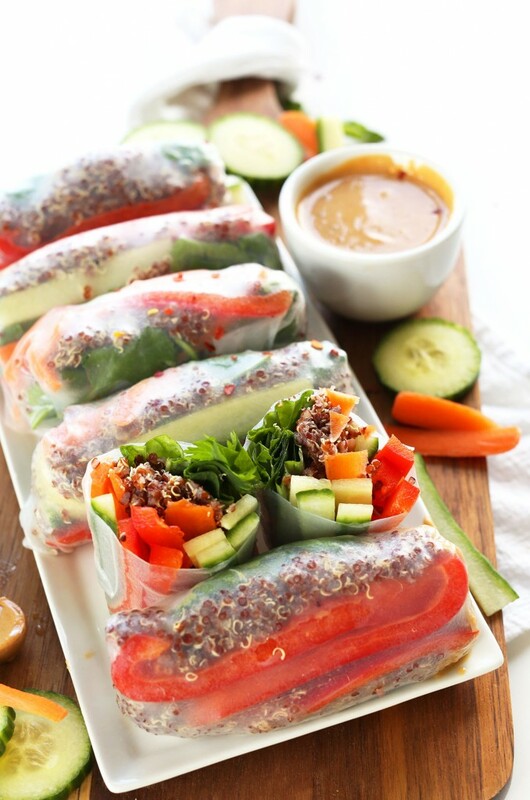 Quinoa Spring Rolls with Cashew Dipping Sauce – FRESH, simple spring rolls with quinoa, veggies, herbs and a flavorful cashew dipping sauce. A healthy, satisfying 30-minute meal that’s special diet friendly. 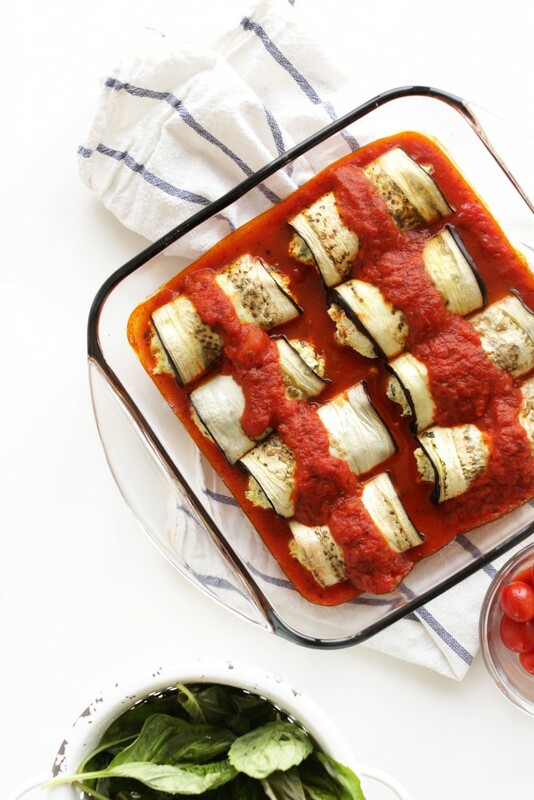 Eggplant Lasagna Roll Ups – EASY, 10-ingredient vegan lasagna roll ups made with a flavorful, protein-rich tofu filling rolled up into roasted eggplant slices! Healthy, rich in whole foods, and so satisfying. 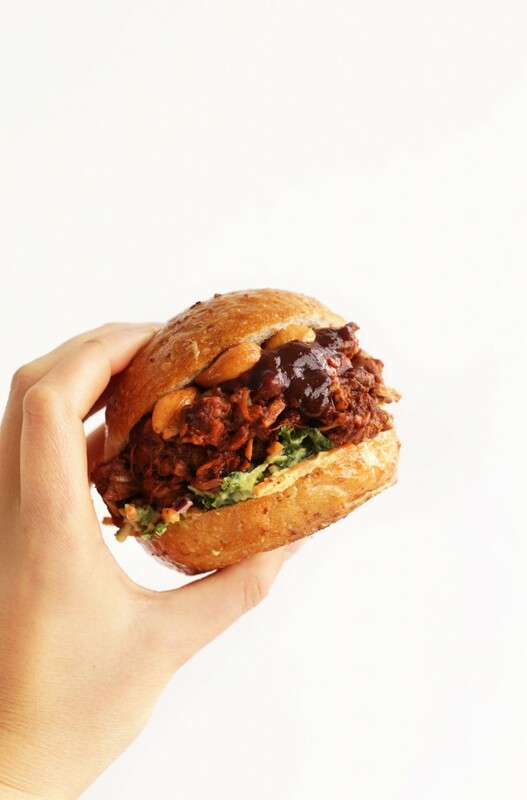 BBQ Jackfruit Sandwiches with Avocado Slaw – Simple, 30 minute BBQ jackfruit sandwiches that will fool any meat lover! A crunchy, cool avocado slaw and roasted salted cashews add even more texture and flavor. The perfect vegan substitute for pulled pork. 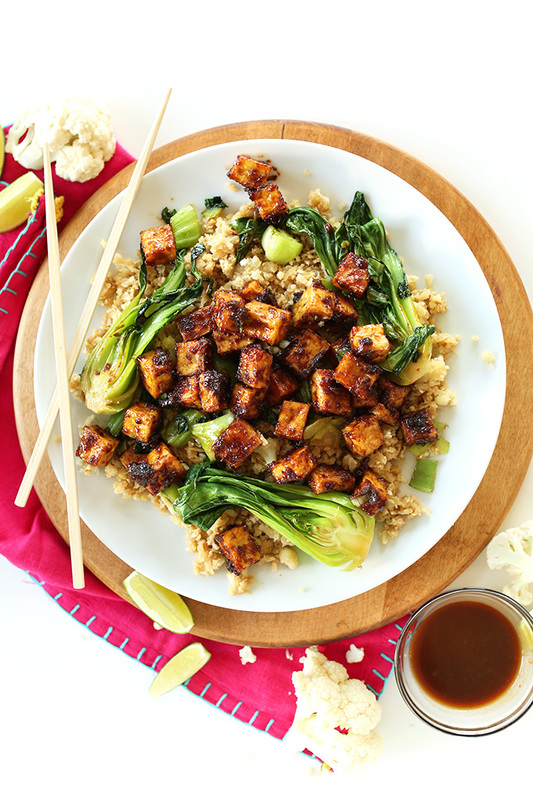 Crispy Peanut Tofu & Cauliflower Rice Stir Fry – Crispy tofu that’s baked not fried and tossed in a 5-ingredient peanut glaze! Serve over cauliflower rice with sautéed veggies for a completely plant-based meal that’s entirely vegan + gluten free! 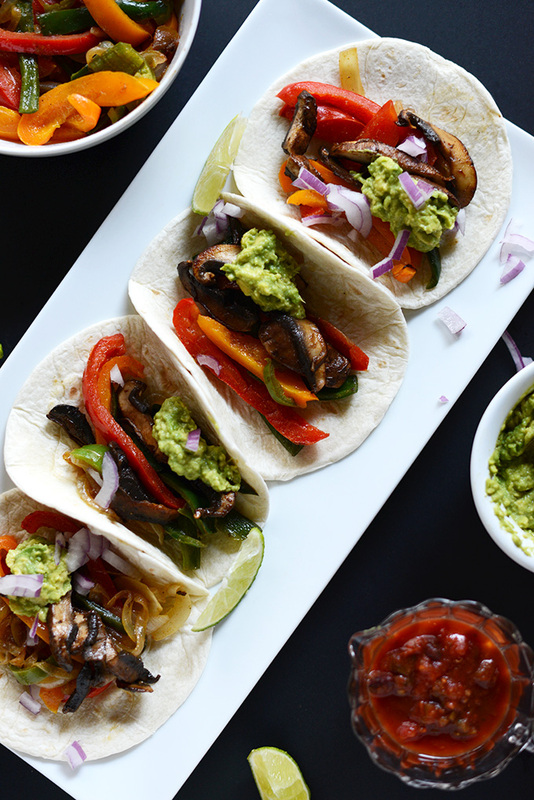 Poblano & Portobello Fajitas – Simple vegan fajitas with portobellos mushrooms and poblano and bell peppers, made extra satisfying with healthy spoonfuls of guac. 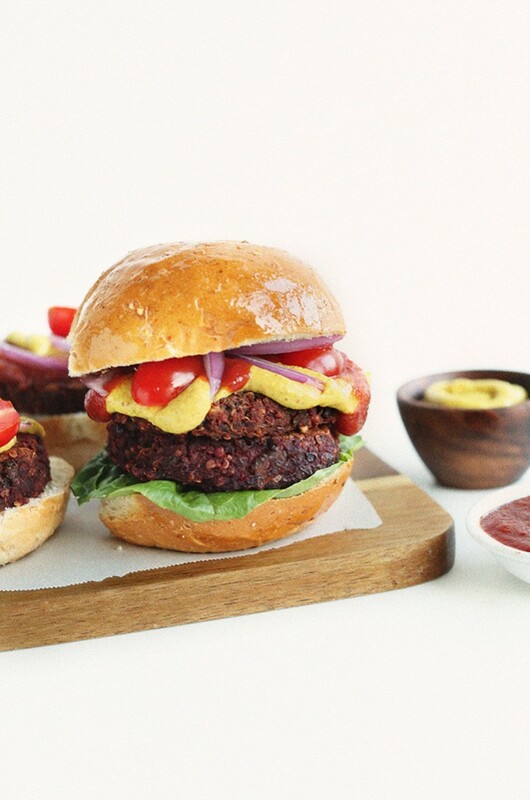 Smoky Black Bean Beet Burgers – 10-ingredient, smoky black bean beet burgers with walnuts, quinoa and a blend of spices. Hearty, nutritionally-dense and simple to prepare. In case you’re ever in need of dinner inspiration! Hello! I was always so afraid to step into the kitchen until I found your recipes! I’m 20 years old and barely learning how to bake, and slowly I’ll learn to cook! My brother is vegan so whenever I bake something I’ll have to cater to his needs. I stumbled across your page looking for vegan recipes and I’m so happy I did! 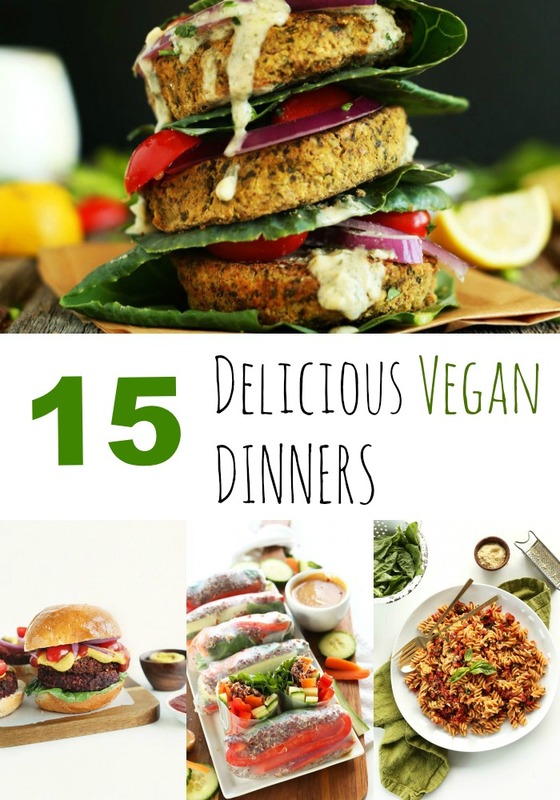 It’s so beginner friendly and definitely gives vegan food a good name! I’m not vegan but I sure do enjoy eating your vegan recipes. Thank you!! And your awesome! This blog is one of my happy places. I’ll be in the kitchen testing out my latest foodie-fantasy idea and about two weeks later, I’ll see something very similar show up on this blog by Portland-based husband and wife team, Dana and John Shultz. Great minds thinking alike—Creativity + Veggies. Why you should check her blog out: 10 ingredients or less, 1 bowl or 1 pot, or 30 minutes or less. Plus, allergy/intolerance-friendly. Oh, and she has damn good recipes. Ah, thanks Gigi! So kind! Much love from Portland!